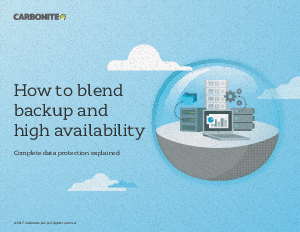 Backup and high availability are both essential forms of protection that fulfill different roles within a data protection strategy. So which type of protection is right for different systems? According to recent analyst reports, experts recommend a blended approach that aligns data protection with type of data. By aligning data protection with data urgency, businesses can ensure higher levels of resiliency and reduce demands on internal resources.